Last week’s post (do have a look at it if you have the time), suggested that cancer could be thought of as an invasive species – such and runaway beavers in Tierra del Fuego or Knotweed in the UK (more on this below). If that’s right, an ecological approach to cancer – making the territory it was invading better able to resist –becomes a very plausible option. One way to do this is to target cancer’s metabolic system – the way the cells controlled their energy supply which is different to healthy ones (more on this below also). The post started to describe the objections critics had being raising around the genetic theory of cancer and how the idea that everyone’s cancer began with mutations in a few rogue cells really didn’t make sense. This provides more detail and suggests that continuing to peer every more deeply into cancer’s genome is doomed to fail and that taking a wider ecological perspective is essential. Christofferson described his shock when, in 2012, he first got to examine The Cancer Genome Atlas (TCGA) showed that the gene changes within the cells of individual tumours are far more complicated and chaotic than anyone had anticipated. A plausible reply is to say that you don’t need to go on a dark matter hunt you just need to take notice of all the signs pointing at the metabolic theory – that it is about energy use. Christofferson highlighted the benefit of cutting back on the carbohydrates fuelling blood sugar and went on to delve into the ketogenic approach to cancer. This involves bringing down carb intake so low – around 25gms a day – that a natural alternative system for fuelling the body is triggered. It involves ketones –small packets of energy made in the liver from fat released as carbohydrate intake drops. Ketones can be used instead of glucose by the mitochondria the brain and muscle cells to make ATP energy but not, crucially, in cancer cells because their mitochondria are damaged. The diet involves renouncing the likes of pasta, rice, sugar, cakes and biscuits and sticking to non- root vegetables and not too much fruit, then filling up on fats, such as olive oil, butter and coconut oils, plus normal amounts of protein — meat, fish and eggs. There are now shelves full of books with instructions and recipes for the ketogenic diet. Although it is still controversial for cancer, the diabetes authorities, after holding out for years, have finally half accepted it. They agree that cutting carbohydrates makes sense but continue to reject the idea of eating large amounts of fat. Many cancer patients also claim great benefit from following the diet but the standard response of mainstream charities and oncologists is that it lacks large scale randomised trials to prove its effectiveness. A few clinicians have pointed out that is most certainly safe, being approved by NICE to treat children with serious epilepsy that doesn’t respond to drugs, so using it as a support for patients on chemo and radiotherapy is something that should be an option for cancer patients. One of these is Dr Nelofer Syed, Senior Research Fellow and lecturer in cancer biology at Imperial College London who believes that there is already good evidence that the ketogenic diet has great potential to help patients. ‘Early research shows that it can improve the effectiveness of both chemotherapy and radiotherapy and that cancers find it difficult to use ketones for energy,’ she says. 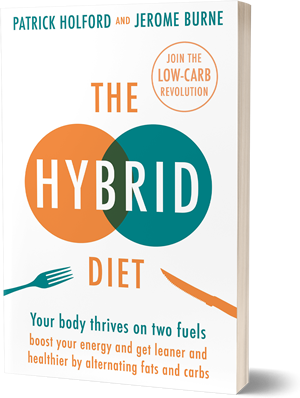 Syed is one of the authors of an article summarising research on the ketogenic diet so far. Among the other benefits it reports from lab studies are: reducing the ability of tumours to hook up to a local blood supply, lowering inflammation and making it harder for cancer to spread. ‘Emerging data provides strong support for the use of the ketogenic diet in the treatment of malignant gliomas (cancers in the brain)’ the paper concludes. Syed is very unusual. The ongoing sage of the metabolic theory and cancer clearly illustrate the impact of commercial considerations on the treatments we get. Rather than any scientific curiosity about promising treatments, the mainstream attitude is that without a big money spinning potential it is up to someone else to get the evidence. However, two radical developments earlier this year may make that defence redundant. One involves the making and licensing (but only in America) of synthetic ketones by an Oxford physiologist Professor Kieran Clarke. This has huge implications. Rather than having to follow a diet that is demanding and difficult to get the body to make them, it may soon be possibly to get their promising benefits from a drink and continue eating normally. It will also change the playing field as far as gathering evidence. Already small randomised studies have found that those getting ketones in a drink have lower glucose and insulin levels, can lose weight while levels of a hormone that pushes up hunger pangs (ghrelin) drop. Applications to cancer are ongoing. At the moment it is being marketing in the States to high end endurance athletes. Professor Clarke’s original research into her synthetic (or endogenous) ketones some years ago showed they could produce small but significant improvements in distance sports such as rowing and cycling. She has also co-authored a paper last year reporting on a trial of one that found synthetic ketones could reverse the mental decline of Alzheimer’s as they can be used by the brain. The second development is equally mould breaking. It involves a private clinic in London – The Care Oncology Clinic – which earlier this month (March) announced that a cocktail of four old, off-patent (and so very cheap) drugs, prescribed for years to millions, had greatly increased the average life expectancy of nearly 100 brain cancer patients. For patients treated with a conventional combination of chemotherapy and radiotherapy, average survival has remained the same for 20 years – 14 months. But those getting the drug cocktail, as well as standard treatment, average survival almost doubled to 27 months. For more details see my feature in the Daily Mail a couple of weeks ago. The drugs in the cocktail had been chosen from reports, available in journals but ignored, on thousands of drugs that had been tested over the years for a wide range of effect – anti-inflammatory, anti-nausea, anti-depressant as well as anticancer. The combination has been prescribed on the commonly used off-label basis. The link with metabolic theory comes because each of the drugs – a cholesterol lowering statin, the diabetes drug metformin, an antibiotic and a deworming pill – all damp down or inhibit a variety of the ways cancer cells access or make use of their main fuel glucose. The trial was not a RCT – who is going to spend the tens of millions involved for a combination of drugs which cost just 400 pounds a year? – unheard of in the world of new cancer drugs. Instead it was trialled using a relatively new model known as a ‘service evaluation’ which means that the effects of the treatment was recorded in the real world of the clinic. The next step is to compare what happened to the people treated in the clinic with a group of patients matched as closely as possible to them, who got just the standard protocol in NHS hospitals in London. Results are due to be published in the summer. If the cocktail still shows up as effective as it seems, it is going to very hard to continue to ignore claims that targeting cancer metabolism and energy use is a valid approach ready to use now. Professor Mukherjee’s article on cancer as an invasive species provides a useful and novel way of thinking about what is going on. It is also a brilliant, but almost certainly unintentional, example of why oncologists find it so hard to change their approach. He begins by asking why are some cases of cancer cleared from the body after surgery while others lurk, waiting to metastasize and emerge elsewhere months or even years later? There is no good answer at the moment, he says, because the conditions that allow these invaders to flourish doesn’t fit with our gene-focused theory of how and why cancer develops in the first place. To answer the question, he claims, oncologists need to look up from their microscopes and gene sequencing machines and investigate the systems that naturally protect against cancer developing in the patients’ bodies. Cancer cells, he makes clear, are not self-contained oncogene packages filled with all that’s needed to spread but invaders whose success or failure is heavily influenced by conditions in the neighbourhood in which they find themselves. For instance, the reason Japanese knotweed, a modest Jekyll-like plant at home, transforms into a rampaging Hyde in English gardens won’t be found in their genes; they don’t have a mutation giving their roots super-powers. The explanation is that English gardens don’t have some of the features that keep knotweeds well-behaved a home. The same goes for rabbits in Australia or beavers in Tierra del Fuego. Being able to predict which cancers will return would significantly reduce the death rate and the number of patients suffering pointless side effects. But we can’t do that, he says, because we have no good model of how the process works. So, all patients are routinely offered various unpleasant and damaging treatments, such as chemotherapy or hormone blockers. They benefit only a small fraction but who they will be is impossible to predict. The assumption was that gene would be running it, but it hasn’t yet been identified. Nearly 20 years ago in 2001 it became clear that the secret to metastatic success wasn’t in the genes but in the territory, the environment where the tumour was invading – as Bissell and Davies were to point out later (see Part 1). It looked as if the type of neighbourhood was very much involved in preventing or allowing a tumour to spread. Animal work published that year had found that tumours, like some creature on a coral reef releasing vast amounts of eggs and sperm, were constantly pumping clouds of cancer cells into the blood – around 3 million cells for every gram of tumour every 24 hours. If it was genes in the travelling cells that were running it, we should all be riddled with cancer. Something in the body was preventing that from happening. ‘Ask not what cancer is doing to you,’ writes Mukherjee, ‘but what you are doing to cancer.’ It’s hardly a big surprise that the immune system and the NK (natural killer) cells emerged as a major player. But Mukherjee, wanted oncologists to venture into unfamiliar and far more complex territory. They would have to become familiar with, ‘invasion ecology,’ investigating the many possible factors that could have allowed a species that was a well-behaved Jekyll at home to become a Hyde in a new environment. Ecologists talk about webs of nutrition, predation, climate, topography, all subject to complex feedback loops. Clearly a biologically based ecology-type model would provide a much more realistic picture of the multitude of factors that determine whether one of those cells sprayed out in their millions from an established tumour is going establish a foothold and start its programme of rapid growth. His adherence to cancer orthodoxy overcame the inescapable logic of his well- informed analysis. But he’d identified an ecology vs oncology split over the best way to handle cancer and denying the ketogenic diet a role in changing the ecology seems increasingly ignorant and unscientific. Other than that, a great piece as usual, Jerome! A very interesting article. People are getting poor advice. Compare the trials on breast screening for cancer and the “270 women killed” headlines. This was covered on Radio 4′s More or Less’ earler today. As I understand it, there is another scandal here. When doctors talk about the better outcomes resulting from very early diagnosis (from screening), they measure survival from the day the cancer is discovered – so if screening delivered no benefit at all, it would still seem to have improved survival by (say) 2 years – whatever the average time between a cancer being detectable by screening, and actually causing symptoms happens to be. Yes, if they find something earlier but life is not extended by a day, it gets defined as a success by the five-year-survival criterion. The paradox about breast screening is that the women harmed by unnecessary diagnosis think they’ve been saved and become cheer leaders. Comments such as “I’ve seen two friends saved by breast screening . . .” almost certainly mean two friends needlessly harmed, although I accept that once in a blue moon a woman does benefit, whilst possibly another is equally harmed by the radiation. Dr Heath worries that she has made the decision not to pursue mammography on the basis of information that is not readily available to her patients.